Believe it or not, it looks like the campaign is still going on. Yay!! It appears that the audition that I didn’t think went well, well, went rather well in the end. The casting director just dropped me an email telling me that the director was impressed by me and that they will let me know by next Monday. 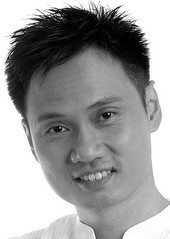 maybe new headshots look like they dont encourage juz paikia roles? ?